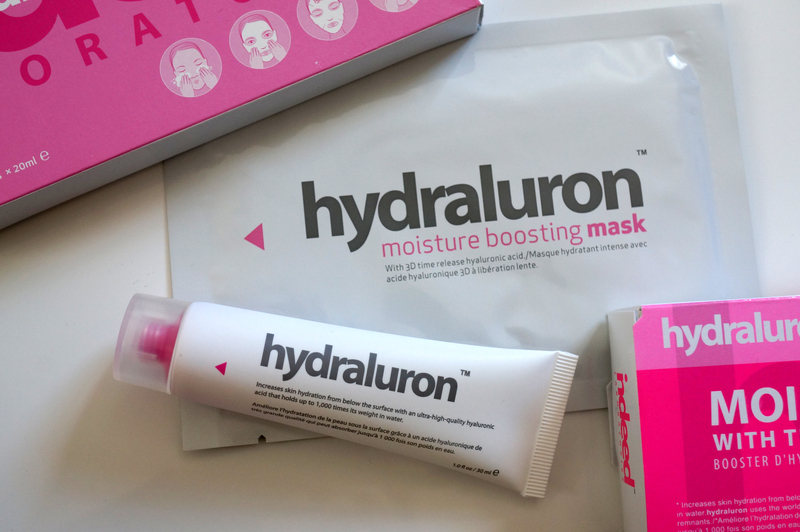 Have you heard of Hydraluron by Indeed Labs? If not where have you been? No, really!? These products really appealed to me as soon as I saw them, just the name ‘Moisture Booster’ called out to me! I have such dry and sensitive prone skin, anything that can help with this I’ll happily give a go! 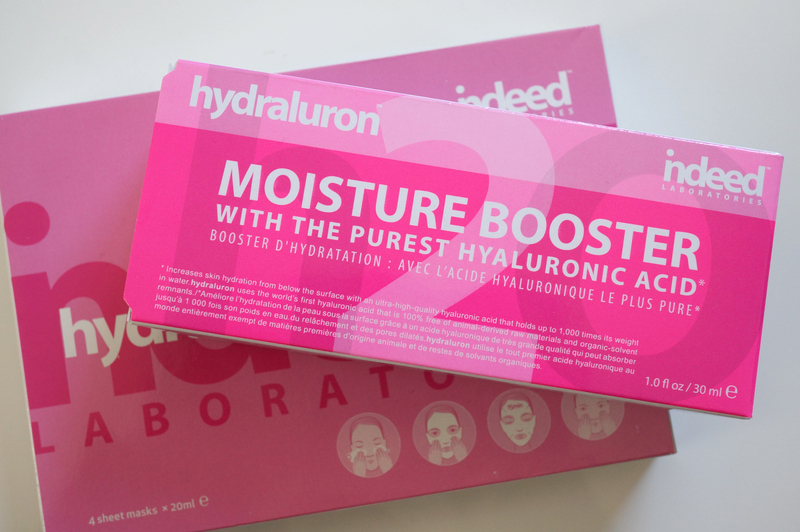 Hydraluron is described as ‘The ultimate daily facial moisture boosting serum that starts where your moisturiser stops’ Hydraluron contains a pure form of hyaluronic acid, an incredibly hydrating ingredient that holds up to 1,000 times its weight in water, and red marine algae which helps with maximum delivery. It increases cell turnover, firmness, elasticity and smoothness and brings about fine line reduction. Hyaluronic acid can reach the deepest skin layers to boost the skin’s ability to moisture itself, to minimize the appearance of deep wrinkles and improve skin’s elasticity. Clinical trials with hyaluronic acid, applied twice a day for 8 weeks showed an increase of skin’s elasticity by 27% and a reduction of skin roughness by 10%. Sounds pretty good right? And you basically just use it after cleansing, and before moisturiser. “Plumps up” skin tissue to restore elasticity and firmness. Reduces skin roughness and provides a soft, smooth and silky texture to the skin. Boosts the action of your moisturizer by stimulating cell turnover resulting in an improved absorption of active ingredients to the skin. I’m completely loving these products so far! I’ve been using the Moisture Booster most days, and it gives a lovely cooling effect when applied – which is just what I need in this hot weather! I’ve also started on the Moisture Boosting Masks, which are like an intense version of the Moisture Booster. The masks have a 3D enzyme structure which allows for a slow release hyaluronic acid over time, for longer lasting relief from dry skin. You get four in a pack and the masks are in a fold out style and are literally dripping with product. You just wear one for 15 minutes and massage the product into your skin when you’re done. I think I may keep one of these in the fridge ready for when the weather really heats up, it’s going to feel soooo good!! Previous Post Ebay Basket Wish List #2 Fresh Prince! Great post! These products look perfect for my dry skin.